Bed mat for the detection of seizures. Suitable for both adults and children, this mat is highly effective at detecting tonic-clonic seizures. Does not include alarm monitor. Caring for a patient with epilepsy is hard work. There is no down time, no holidays and no opportunity for a good night's sleep. The Emfit Tonic Clonic Seizure Monitor with Bed Sensor Mat is an ideal way of monitoring a patient and being alerted to a fit without having to watch over them constantly. You can rest assured knowing a signal will sound as soon as a fit occurs. This product includes a Bed Sensor Mat Only, if you're looking for a version with an included mat, see the Emfit Epilepsy Tonic Clonic Seizure Monitor with Bed Sensor Mat instead. 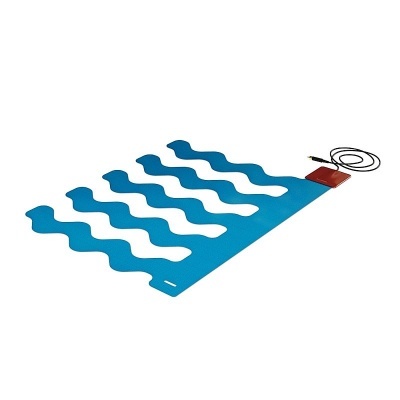 Please note that the image shows a mat and a monitor; this product includes a mat only and cannot be used without an existing monitor or nurse call system.